1. What to do if the opening doesn't grip the reader's attention. This is a big problem, because editors like books that grab the reader from page 1. In the past, this was not so important. Writers such as Georgette Heyer often spent the first chapter introducing a range of characters, but unfortunately publishers no longer like this style. So how do you know if your book opens in a gripping way? Ask yourself what happens in the first five pages. If nothing happens, you have problems. Read through until you find the first really gripping scene, and use this as your opening. Discard anything that happens up to this point. (If some of it is vital - and I do mean vital, so that a reader would be unable to follow the story without it - then slot it in later in the book.) If you can make your first sentence gripping as well, so much the better. This engages the reader because she wants to know the answer to a question. She also wants to know who is thinking this, where they are going and why. The first chapter goes on to reveal that Hilary is trying to find her way to Carisbrooke Abbey. She has a choice of direction and, as a storm is raging round her, she decides to take the road through the woods. She is just about to come out of the woods on the other side when a tree is struck by lightning. It falls, pinning her by the ankle. Trying to free herself, she is confronted by a bear-like man who emerges from the woods. When he has helped her, he merges back again. Continuing on her way, she seeks refuge in a cottage, but she is unsettled by the inhabitants' reaction when she says that she is going to the abbey. The opening here contains action, atmosphere and intrigue. A lot of questions are set up in the reader's mind. Who is the man? What was he doing in the woods? Is Hilary going to meet him again? When, where and how will this happen? Why are the inhabitants of the cottage apprehensive when she mentions the abbey? What is she going to find there? If you give your reader questions to answer, she is more likely to want to read on. 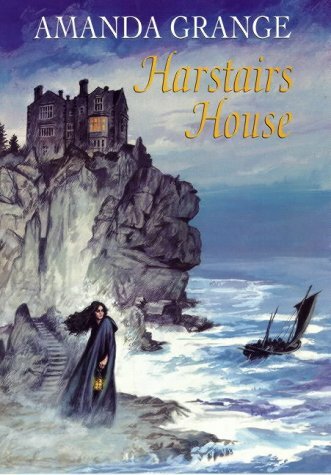 Harstairs House opens with Susannah being called downstairs by her employer. She finds that a lawyer has come to visit her, and he tells her that she has inherited Harstairs House. She takes up residence, but before things get too comfortable she discovers that the house has a tenant, Oliver Bristow. He has only a month left on his lease, and reluctantly she allows him to stay. Oliver's presence adds intrigue to the opening chapter. What is he doing at Harstairs House? Why has he chosen to hire a house in a remote spot in Cornwall, particularly during the winter? It also adds the 'romance' to the 'historical'. But with an inauspicious first meeting, the reader is left wondering how he and Susannah will fall in love. 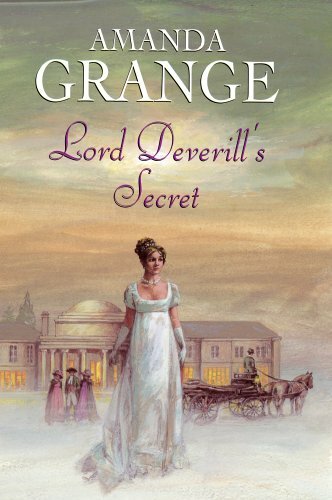 Lord Deverill's Secret opens with Cassandra going to visit Justin, Lord Deverill, because she believes he may know something about her brother, who died in a tragic accident the year before. Notice that the hero and heroine meet very quickly. Make a note of anything that encouraged you to read on. Was it the mystery? Was it the characters? Was it the possibility of love between Cassandra and Justin? Was it the setting? For everyone reading this, the answer will probably be different, because no two readers are alike. If you, as an author, create a number of points of interest in the first chapter - interesting characters, a tense relationship between the hero and heroine, a mystery, a convincing setting - then you will give lots of different readers lots of different reasons to read the book. The heroine owns a bank, and is seen taking decisions at the bank. This kind of scene is only used if the unusual occupation is to play an important part in the book, eg if it will bring the hero and heroine together. Perhaps the hero needs a loan, or wants to pay off a mortgage on his estate, and will therefore visit the heroine to try and arrange it. Once you have a gripping first sentence and a compelling opening scene, what else does a book need to make it stand out for a publisher? It needs the hero and the heroine to make an appearance, meeting in the first chapter (some publishers like them to meet within the first two or three pages). It needs the period setting, preferably on the first page. You can do this by referring to carriages, Lords (who, of course, exist today, but as people don't tend to write about them, the presence of a Lord signals 'historical' to a reader), clothes etc, or you can refer to the date if you can make it seem a natural inclusion. Now, after the 'dos' a few 'dont's'. None of these are hard and fast rules, but by following them you will give yourself a better chance of success. Don't start with pages of description. Don't start with a minor character. Don't start with the back story. If you have a back story, you should drip it in gradually throughout the book. Nothing bores a reader more quickly than a back story - it's like meeting a new person who suddenly tells you their entire life story. This is a recipe for glazed eyes and a desire to escape! As an aside, I broke one of these 'rules' in my first book, A Most Unusual Governess. I started with two minor characters. They were, however, talking about the hero, which is why I think the publisher didn't mind too much. If I was writing the book again, I would start with the heroine's first appearance, and I think you will find it easier to break into print if you start your books with the hero or, preferably, the heroine.